Randy Frazee is the senior minister at Oak Hills Church in San Antonio, Texas. Oak Hills is one of the largest churches in America, where Randy teaches and leads in partnership with pastor and author Max Lucado. A leader and innovator in spiritual formation and biblical community, Randy is the architect of The Story church engagement campaign. He is the author of The Heart of The Story, The Connecting Church 2.0, The Christian Life Profile Assessment.. He also coauthored Real Simplicity with his wife Rozanne. 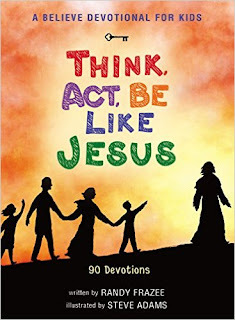 Think, Act, Be Like Jesus by Randy Frazee is an amazingly wonderful devotional for kids! I absolutely love seeing my daughter start out her day with this devotional. It truly sets a wonderful tone for our day. Each devotion is only a few minutes and contains a short verse, an application section, and a short prayer. The illustrations are wonderful and I highly recommend this devotional. 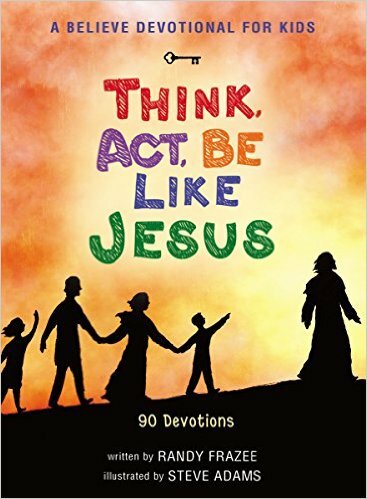 Think, Act, Be Like Jesus by Randy Frazee is the perfect devotional for kids 8-12 and would make a wonderful gift this Easter! You can find Think, Act, Be Like Jesus by Randy Frazee on Amazon, Barnes and Noble and other bookstores.